Doğa, BirdLife in Turkey, launches a new conservation programme for globally threatened birds breeding in Turkey’s extensive steppes. The programme will be implemented in collaboration with locals living nearby habitats of six globally threatened bird species, occurring in private lands or community pastures. Species that are targeted by the new conservation programme are, Sociable Plover, Egyptian Vulture, Steppe Eagle, Imperial Eagle, Great Bustard and the White-headed Duck. Although it is a waterbird species, the White-headed Duck breeds in wetlands closely associated with primary steppes. All species covered under the new programme of Doğa are listed as globally threatened according to redlist criteria of IUCN. Sociable Plover, the only critically endangered of these species occurs in East Anatolian steppes solely during migration. Other five species have significant breeding populations across Anatolian steppes. Turkey is particularly important for the Egyptian Vulture, listed as endangered in the global redlist. Approximately 20 percent of the world population, and at least one third of the European population of the Egyptian Vulture is breeding in Turkey, according to BirdLife International. 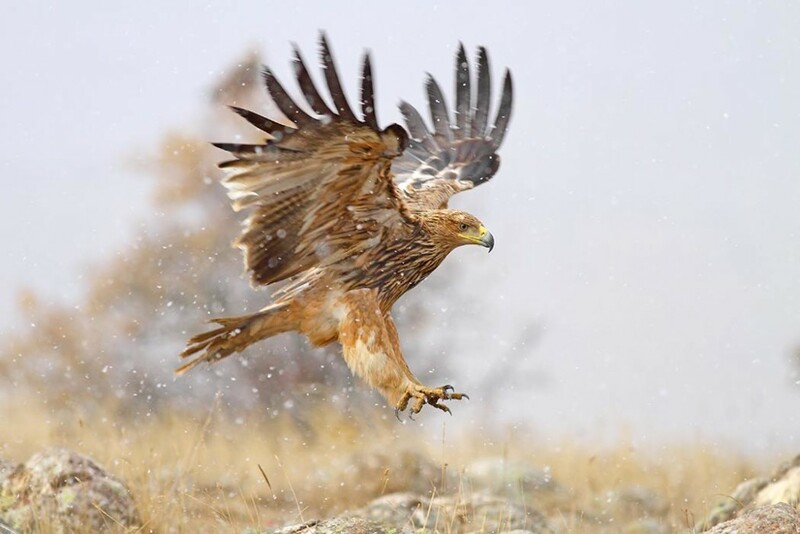 Furthermore, recent studies show that Turkey has a greater importance for breeding Steppe Eagle and Imperial Eagle, compared to previous estimates. During the forthcoming weeks and months, Doğa’s bird experts and social studies teams will be traveling across Central Anatolian steppes to meet the local people and develop local conservation plans where these species breed in significant numbers. Most of main breeding grounds of these species lie within private lands and community pastures highly affected by daily practices of farmers and shepherds. Doğa will work closely with BSPB (BirdLife in Bulgaria) and MME (BirdLife in Hungary) on conservation of Egyptian Vulture, Imperial Eagle and the Steppe Eagle. Furthermore, Ornithological Society of the Middle East (OSME) is supporting the White-headed Duck work of Doğa in Central Anatolia. Itri Levent Erkol, the Conservation Manager of Doğa stated that; “Grasslands and primary steppes of Anatolia play a huge role for conservation of globally threatened steppic species in Eurasia. Conservation action on these species was so far mostly in form of legal protection, however, this has proven to be not sufficient to save the widespread and fragmented breeding grounds of these species mostly confined to private farmlands and pastures. Therefore, the fate of these threatened species lies in the hands of farmers and shepherds of Anatolia, which share the habitats of these rare species. With this new conservation programme, Doğa will form networks and alliances with locals to secure best possible landuse and habitat management for these species, building on international best practices”. How can you support Doğa’s grassland birds conservation work? Share your sightings, photos or videos of globally threatened steppic birds in Turkey. Collect local information on behavior and distribution of these species in Turkey. Design and implement conservation action for these in cooperation with us. Become a volunteer of Doğa or make donation.